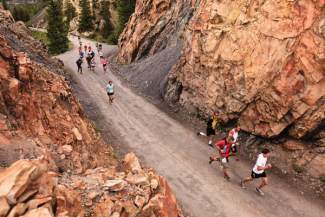 A group of foot racers winds through one of several rock formations on Boreas Pass Road. The road was once a railroad for miners and mining equipment in the late 1800s. 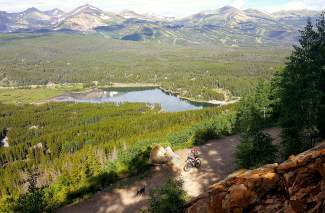 Biking on Boreas Pass Road in Breckenridge, Colorado. Fall colors on Boreas Pass. 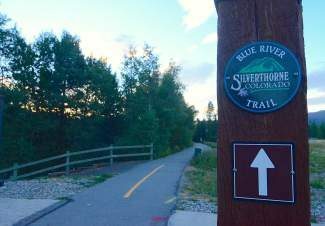 SUMMIT COUNTY — When the Denver, South Park and Pacific Railroad company built the Boreas Pass narrow-gauge route in the late 1800s, they hardly chose the route for its breathtaking beauty in July, August and September. 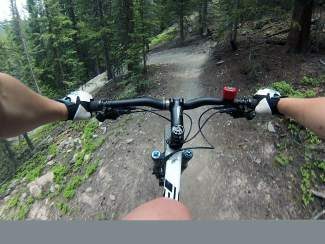 But it couldn’t have worked out better for modern-day mountain bikers. 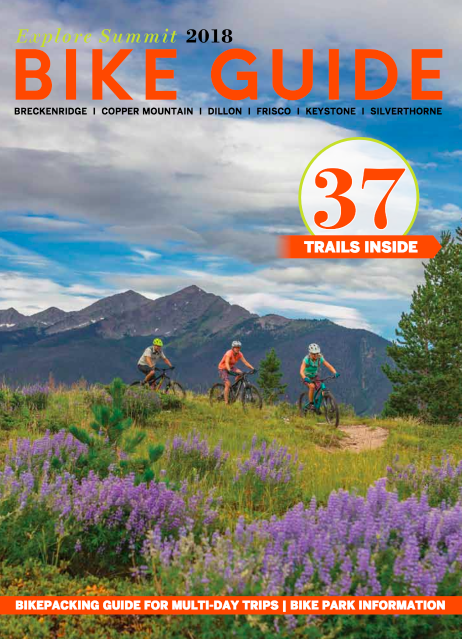 The road follows the railroad bed, giving cyclists of all abilities access to scenic views and historic mining remains on the Continental Divide, found just south of Breckenridge. 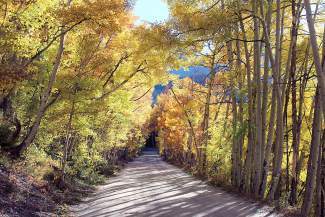 It’s a hot spot in autumn, and for good reason: the road is lined with thick, colorful aspen for a tunnel-like foliage climb on a mellow uphill grade. Also remember — Boreas Pass is above timberline; be prepared for changing weather. 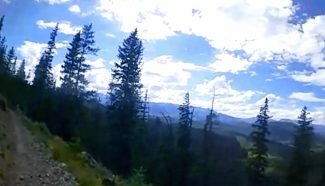 Begin climbing toward Boreas Pass. This fairly smooth dirt road climbs gradually through beautiful aspen groves, making it a superb fall ride. Pass Baker’s Tank, which stored water for railway use, at 3 miles. Continue climbing on the main road along the flank of Bald Mountain. At the pass, you’ll have incredible views from the Continental Divide. Perched near the road is the restored Boreas Pass Section House. From the pass, return as you came. The road actually continues another 11 miles down to the vast expanse of South Park and the small town of Como. 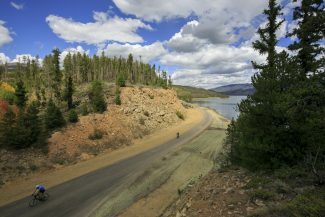 From I-70, drive south through Breckenridge on Highway 9. Turn left onto Boreas Pass Road (also known as Broken Lance Drive if taken to the right) at the stoplight on the south end of town. Drive 3.5 miles up this winding road to pavement’s end. Park in a pull-off on the left where the road becomes dirt. Editor’s note: Updated June 15, 2017.